More West Nile virus cases, deaths add to growing concern around U.S.
(CBS/AP) Two north Texans have died due to the West Nile virus, bringing the total dead in the state from the disease this year to 22. Tarrant County officials say a Fort Worth man and North Richland Hills woman in their 80s with underlying conditions passed away due to complications from the disease. In the Dallas-Fort Worth area alone there have been 16 West Nile-related fatalities, with the number of Dallas County cases reaching 262, according to KERA in north Texas. More than 400 cases have been reported around the state. To combat the mosquitoes, Dallas County - as well as other areas around the U.S. - have been spraying pesticide. The last round of spraying took place Monday night and was intended to kill newborn mosquitoes that may have been born since the previous spray. Weather had delayed the treatment for a few days. The spray is safe for humans, but that hasn't stopped some Texans from being concerned, according to NBCNews.com. Some are arguing that the insecticide may harm children, other people or other animals in the area. However, the Centers for Disease Control and Prevention and the Environmental Protection Agency say the Duet spray - a synthetic concoction called pyrethirins created from two products made from chrysanthemum flowers - only target the nerve activity of the insects and kill adult mosquitoes by direct contact. The doses are so low that they only affect insects, and on top of that, the compound is not poisonous to mammals, officials told NBC News. "Risks with aerial spraying are very, very low, especially compared with the risk of disease," said Carrie Williams, a spokeswoman for the Texas State Department of Health Services, told NBCNews.com. "We believe it is a safe and very effective approach for Dallas." More than 30,000 people in the U.S. have come down with the West Nile virus since 1999, according to the Centers of Disease Control and Preventions. Mosquitoes get the disease when they feed on infected birds, and the insects pass the virus on to humans and other animals through bites. About 80 percent of people who are infected with the virus won't show any symptoms, but for 20 percent they may develop a fever, headache, body ache, vomiting, swollen lymph glands or a skin rash. About one in 150 will develop severe illness, which may result in high fever, neck stiffness, convulsions, vision loss, paralysis, coma , other neurological effects that may be permanent or even death. People over 50 and those with compromised immune systems are at the highest risk. As of Aug. 14, the CDC said there were 693 cases of the disease in the U.S., the most since 2004. If the trend continues, it could be the worst year for West Nile virus. Elsewhere in the country, a 25-year-old Columbus, Ohio woman became the 16th diagnosed case of the West Nile virus in the state. She was hospitalized but has been released and recovering. The Mississippi Department of Health is also reporting 17 new cases for a total of 76 incidents statewide. One person has died this year. In 2011, 52 cases and five deaths were reported. Minnesota and New York both respectively reported their first deaths from the West Nile virus. There have been 20 cases in the Minnesota, and only one other case in New York. 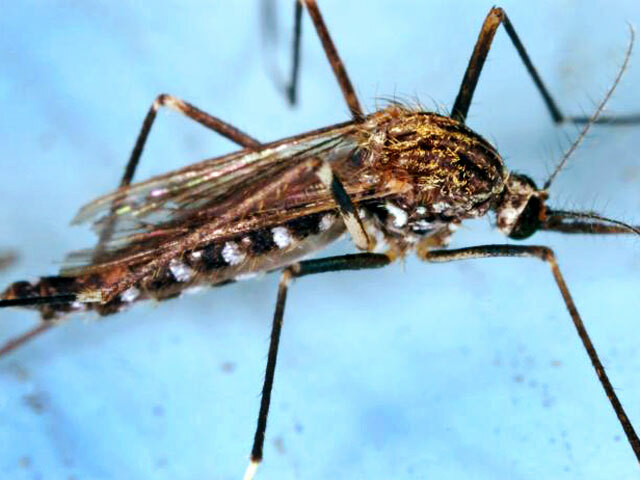 Health officials say residents should take precautions like removing sources of standing water where mosquitoes breed and to wear long pants and sleeves in mosquito-prone areas during peak times from dusk until dawn. Mosquito repellent is also recommended.